Where can you get "pig stuff"? This is Angel Kerns piggy enjoying the Scratchnall pads.Please use the link below to order some for your animals. Pigs love them, but so do cats and dogs and horses and many many more!! 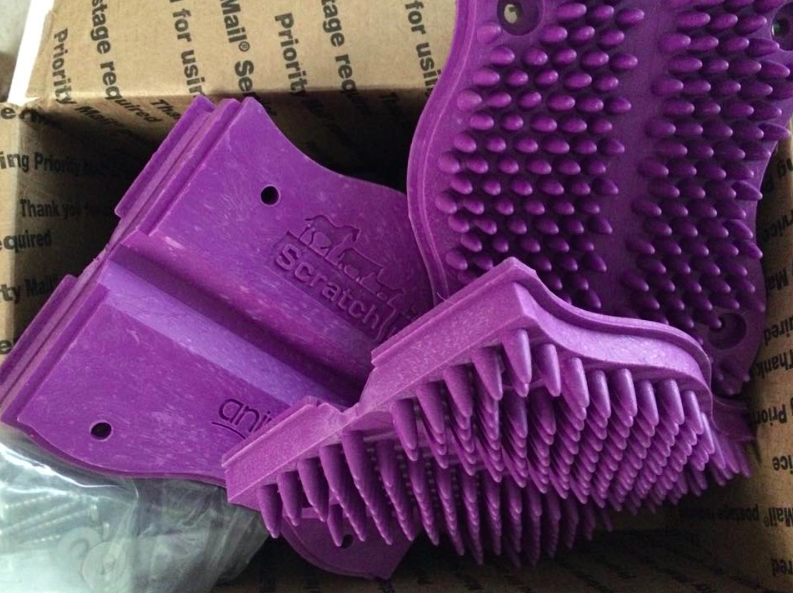 ​Great scratching pads you can place in areas for your pigs (and any other animal) scratching pleasure!! A little different for our porcine companions than a traditional litterbox, this piddle pad has a container that houses the urine versus the standard tray for other versions. ​Super durable, low sides for easy access. Very quick shipping. I ordered mine on Saturday and it was at my house Tuesday. The telescopic ramps are typically easier to store and carry around with you. Ramps with a built in carpet or surface that isn't slick is best suited for bigger pigs who may not have great traction. The angle of the ramp is important because if it is too steep, a pig likely won't use it and you'll have to resort to trying to lift an already scared pig into whatever area you need them to go. Start ramp training early when they're more willing to learn versus later in life when it could be more of a challenge. Another option is this site. 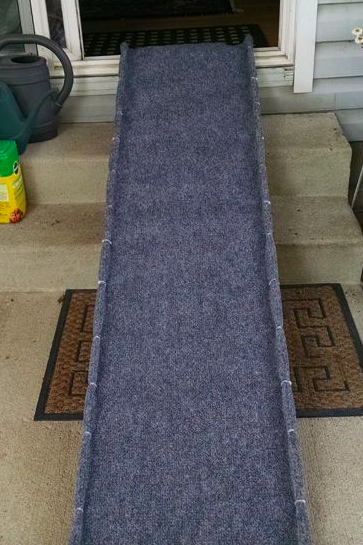 DIY ramp covered in a thick material to prevent slipping. Treat dispensers can also be found practically anywhere pet toys can be found. I've bought many from many different places, but Amazon seems to have the biggest selection at reasonable prices. You can make your own using household items as well. Paper towel holders (cardboard portion) can be used to hide treats and taped on both ends poking holes in it big enough to allow treats to fall out while your pig is busy pushing it around. PVC is commonly used as treat dispensers, you can drill holes in them, hang them using rope and provide hours of fun for your pig by placing pellets or water or treats inside for a fun surprise. Be sure whatever you make or buy doesn't fall apart with pieces small enough for your pig to choke or cause any obstruction issues. Do NOT use rocks to fill play areas, pigs are known to swallow pretty much anything and I have seen pigs have to have rocks surgically removed from their intestines. Small children's toys are no different. If a pig thinks that something may be food, your pig will eat or at least chew on it and if pieces are swallowed, it can cause serious issues. Keep your home pig proof!! ​We recently became an Amazon associate affiliate and have direct links posted to purchase items from Amazon. We try and find the best price without jeopardizing the integrity of the product, so we have chosen Amazon fulfilled items to link here. Check out our enrichment page for other ideas as well by clicking here. I prefer Oravet chews which can be purchased online or at your vets office for the best price. ​These can also be found on Amazon.com, however, I didn't have a pleasant experience with my order, Hogslats.com fulfilled my order within 2 days with the correct size ordered versus Amazons wrong size, much higher price and it took FIVE weeks to receive. Top Hogs- the performing pigs. I was excited to see there was a show featuring pigs available, if you live in the Colorado area, this may be worth your time to check out. 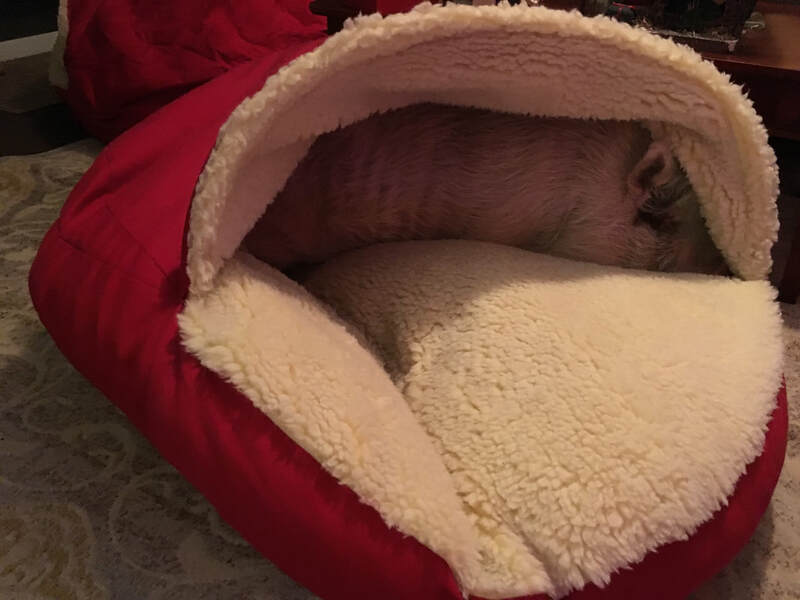 ​Pig beds can be bought anywhere, but if you want a bed that can support their weight and not leave them essentially laying on the ground, try a Kuranda bed. They're a little more expensive, but they have a warranty and will last for many years. Toddler beds are typically the perfect size for your pig as well. They use crib mattresses and can be placed low to the ground for easy access. Dog beds can be purchased at retail stores anywhere. I found a memory foam bed at TJ Maxx for 99.99 that does a great job at supporting my BIG mini pig. The bed I bought which is pictured above is a brand called pooch planet and I have had that bed going on 3 years as of today 06/2016 and although after months, the center does eventually dip down, I wash and dry the bed and it fluffs back up and lasts another several months. All in all, I have found this to be the absolute best bed for the money. Another idea is a bean bag chair. My pig slept on that for the first year. She isn't a big bed destroyer like some others are, so that wouldn't be ideal for pigs that tear their beds apart since they're typically filled with hundreds of styrofoam balls. But since they're relatively inexpensive, perhaps something you can try with your pig if you're worried about the bed not supporting their weight. She chose to sleep on the bean bag chair, she had plenty of other beds to sleep on, but apparently she liked it because that was the only one she routinely used. Check out these pig themed stores to find items for your home that will reflect the love you have for pigs. ​MPI has greeting cards that you can purchase by clicking here!! Mo Drose has a pig store with lots of fun pig themed items! 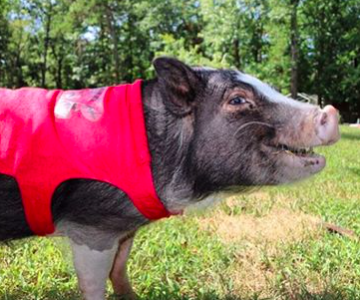 Super cute mini pig themed t-shirts and custom designs. ​Vetercyin Products- minor cuts/scrapes, eye care line, wound care, skin care, eye care and skin care. 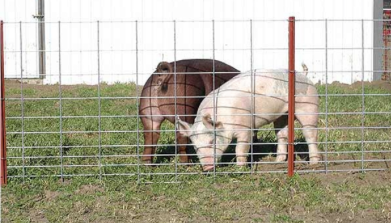 If you are having issues with containing your pig, you can go to Tractor Supply stores (or other farming type stores) and buy hog panels to help with keeping your pig in your yard. This is not the only thing that can be used, but this is easy to install and is used on many farms to help keep the pigs in their desired area. T posts can be used between them to hold them in place.